The summer blockbuster season is in full swing and the next Mission Impossible movie is coming on July 31st. Paramount has released a brand new set of seven gorgeous character posters and a mind-blowing trailer. 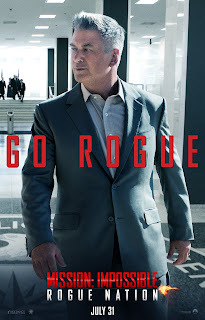 Also, check out the second Mission Impossible: Rogue Nation trailer which features insane spy gear, Tom Cruise dying in water and hanging from a plane. Luther says it best: "oh boy." 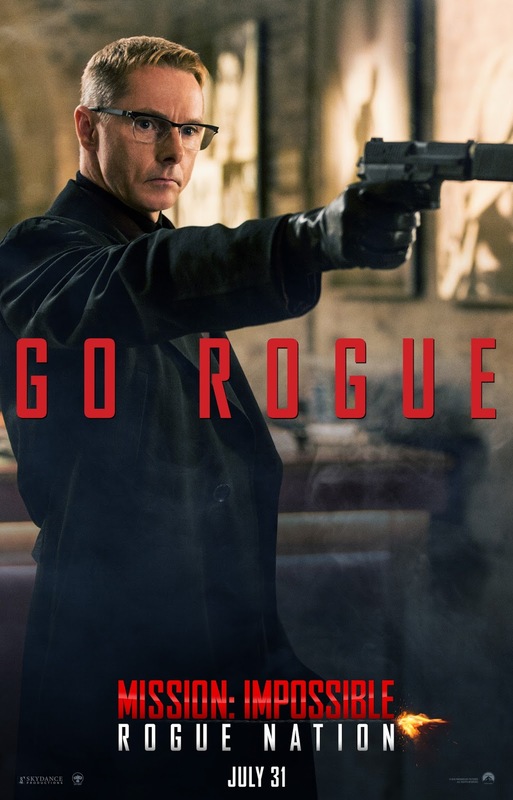 Directed by Christopher McQuarrie and produced by Tom Cruise, J.J. Abrams and Bryan Burk. 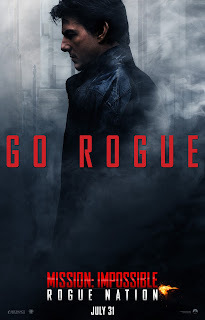 The executive producers are David Ellison, Dana Goldberg and Don Granger of Skydance Productions and Jake Myers. Drew Pearce, Christopher McQuarrie, Will Staples, Laeta Kalogridis & Patrick Lussier and Dylan Kussman wrote the screenplay, based on the television series created by Bruce Starr. 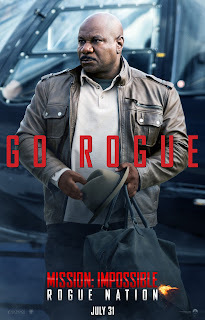 Starring Tom Cruise as Ethan Hunt Jeremy Renner as William Brandt, Simon Pegg as Benji Dunn and Ving Rhames as Luther Stickell. The film also stars Rebecca Ferguson, Sean Harris and Alec Baldwin. 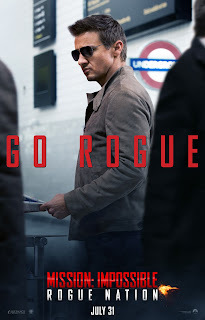 Mission: Impossible 5 opens 7/31/2015. Sign up for Fandango FanAlert to find out when tickets are available near you! 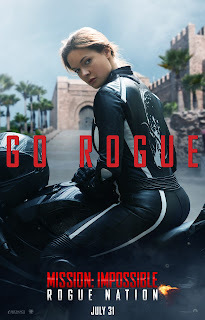 What do you think of the Mission Impossible: Rogue Nation trailer? Which is your favorite character? Would like to be an international superspy? That was some caravan, sorry, some trailer. You need coolin'..and Simon Pegg is a must see in the film. I am an international superspy. You must keep this quiet. A minute ago you were dead - funny! Glad to see the whole cast is back. Looks great! 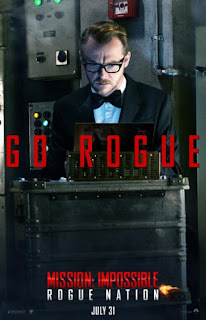 Last year I wrote a spy thriller called Rogue State. I think that's a better title. Just sayin. 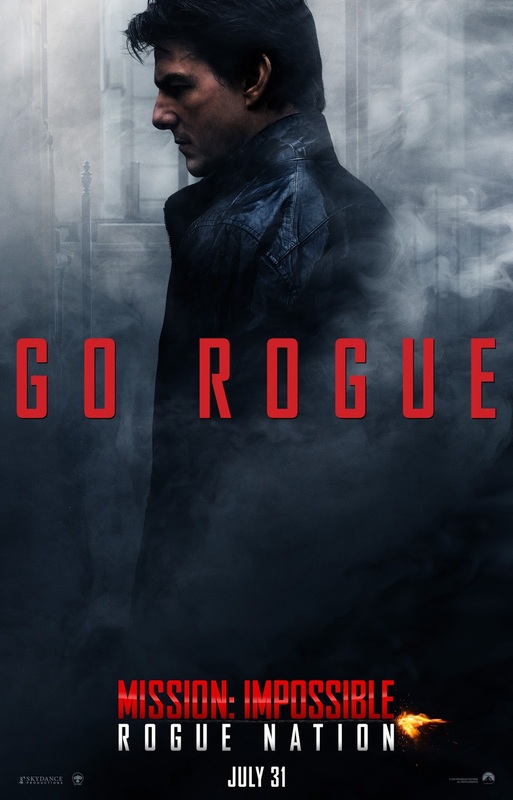 Rogue State is a good title Pat but this title is much better than Ghost Protocol.